Oh I do love these new resin and rose brass Jelly Cup Studs earrings from Adelaide-based Naomi Murrell. I'm always looking for rose gold or brass as an alternative to silver and gold. These cute studs are a little pop of colour on your lobes. 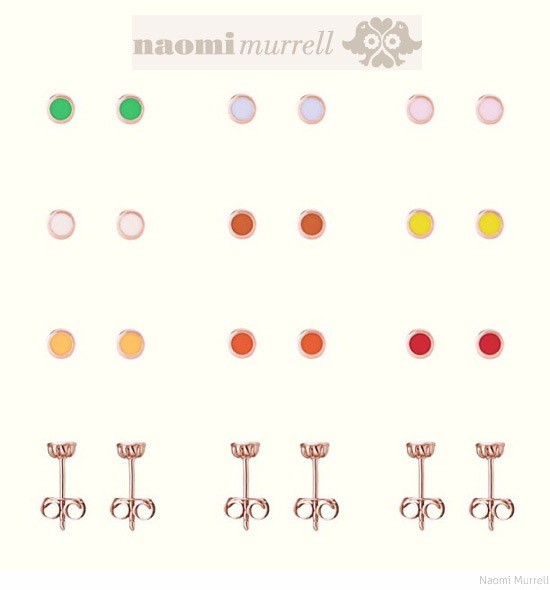 Head to the Naomi Murrell online store to see the collection - in fact, all the earrings are super-cute!